Lots of companies add the word “organic” to cosmetics and other personal care products. But, if you want to be sure that cosmetics are free of risky chemicals, look for the U.S. Department of Agriculture organic seal. Only the USDA organic seal guarantees that cosmetics and other personal care products have been produced without harmful chemicals. Cosmetics made primarily of farm products are allowed to carry the USDA organic seal if 95 percent or more of the ingredients meet federal organic standards, and the remaining ingredients are on an approved ingredient list and were not produced using prohibited methods. As EWG reported last week, many companies use the word “organic” in product and brand names. More than 5,000 products in EWG’s Skin Deep® database – about 20 percent of current product formulations rated on the site – use “organic” in the brand name, product name, product label or list of ingredients. But many of these products contained risky or hidden ingredients and received poor Skin Deep® scores. Misleading uses of “organic” are not the only way some cosmetic companies deceive consumers. Companies are also making misleading “natural” and “unscented” claims. 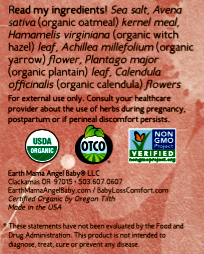 So, if you want to be sure about your cosmetics and other personal care products, look for the USDA organic seal.